Synopsis: Caring for children damaged by abuse and delay is a tough and often thankless job. What Foster Parents Need to Know is a no-nonsense book by professionals and foster parents about how to navigate the system, deal with problem behavior, and be effective. (3) Review: This is a useful little book filled with a lot of good information. While some of it is redundant, its information that can never be told or talked about too many times. I highly recommend this new little gem if you are considering fostering a child. 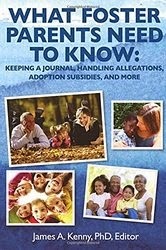 Information on keeping a journal to help advocate for your foster child, and help fight any allegations, knowing your rights as a foster parent, tips on discipline, and subsidies available for you and your foster child are all talked about in easy to understand language and chapters are short. Some of the information published in this book can also be found in Fostering Families Today magazine. Synopsis: A sensitive picture book to help ease the anxieties of foster children aged 4 to 10 entering placement. In A Different Home, Jessie tells us her story of being placed in foster care. At first she is worried and has lots of questions. The new home is not like her old home -- she has a different bedroom, different clothes, and there's different food for breakfast. She also misses her family. When Jim and Debbie, her foster parents, answer her questions she begins to feel better and see that this different home is kind of nice. 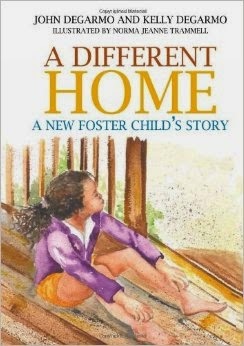 (4) Review: If you ever wondered what a foster child thought or how they feel when they enter into a new foster home this book will give you a glimpse. It may not be every child's story but it certainly shows the mixed feelings and need to feel loyal to their birth family. The desire for all children to be home where they know the rules and the expectations, no matter how horrible it may have been is very real.